The holiday season in Athens, Georgia, offers many opportunities for endless celebration. Now is the time to plan your holiday getaway to the best town in Georgia- I promise we are only a little biased! Visitors can enjoy festive heritage events, artist markets for one-of-a-kind gifts, Santa sightings, and, as always in Athens, live music.The Classic City transforms into a winter wonderland for the entire holiday season and is nothing short of magical. If you haven&apos;t had the chance to celebrate Christmas in the Classic City, check out everything you have been missing and schedule your trip ASAP! The Classic Center is home to an NHL-sized indoor Ice Skating arena plus an outdoor skating pavilion featuring a mobile 17,000 square-foot rink. Starting November 12 and extending through February 28, the rink will start indoors, then be moved to the outdoor pavilion to enjoy the weather and all its winter glory. With multiple public skating sessions every day, new toddler learn-to-skate classes, youth skate classes, adult skating, and youth hockey clinics, this winter staple is perfect for the whole family to enjoy. 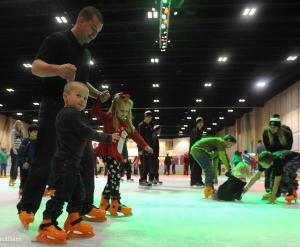 So make sure you take advantage of all the rink has to offer and enjoy a wonderful, family-friendly day on the ice! 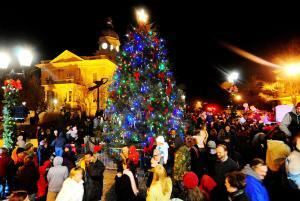 The Downtown Christmas Parade of Lights ushers in the holiday season every year in Athens. This popular annual event gives viewers and participants the opportunity to enjoy an evening parade in Downtown Athens while it is decorated for the holiday season. On December 3, dozens of floats, bands and groups will wind through downtown streets awash in twinkling lights. This year&apos;s theme, "It’s Christmas Time in the City," will have holiday cheer ringing all through Athens. The hour-long parade begins on the corner of Dougherty and Pulaski Streets at 7 p.m. and ends in front of City Hall. The traditional tree lighting ceremony hosted by Santa and Mrs. Claus will be at the conclusion of the parade, making this the perfect opportunity to get you in the holiday spirit! If your favorite part of the season is the music, then you are in the right place! 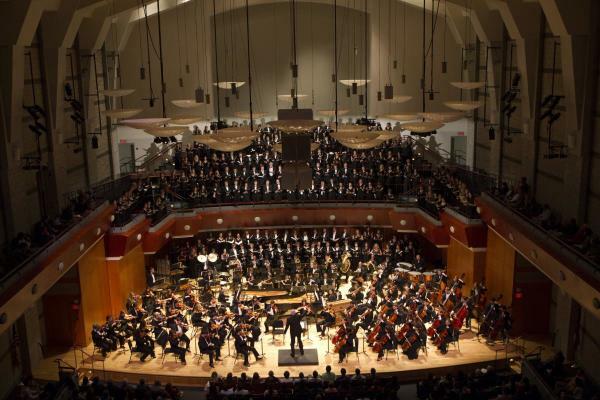 On December 3 and 4 at Hodgson Hall, the UGA Symphony Orchestra, Hodgson Singers, and University Chorus will come together in their annual UGA Holiday Concert for a night of holiday music magic. Tickets are $25. Also,The Athens Chamber Singers invites guests to join them for their annual Yuletide Musical Dinner, celebrating “A Child’s Christmas,” on Dec. 10, 11 or 12 at 7:30 p.m. at Trumps. This event features a delicious dinner buffet alongside wonderful holiday tunes. &apos;Tis the season to belt out your favorite holiday carols, so why go see the professionals do it best! 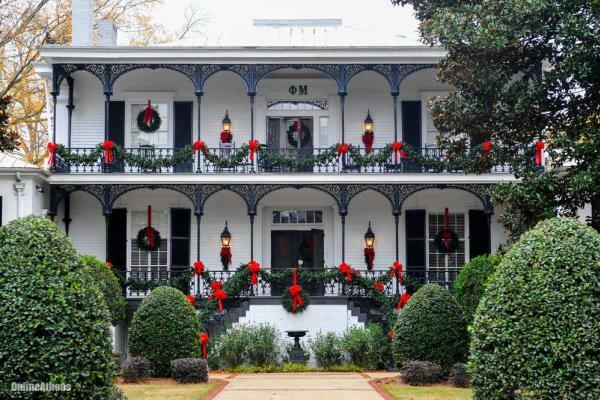 Another great way to enjoy the culture here in Athens is the The Holiday Spirits Museum Mile Tour! The tour is scheduled on three consecutive Sundays in December and will transport participants to Christmases past. This special holiday version of the Museum Mile tour will focus on holiday traditions spanning the 19th century by exploring four unique historic houses from the Federal, Greek Revival and Victorian periods. The tour includes live music, professional theatre, light refreshments and culminates with a glorious Victorian Christmas at the Ware-Lyndon House. The tours begin at 2 p.m. on Dec. 5, 12 and 19. Tickets are $25 each and are available through the Athens Welcome Center at 706-353-1820. Athens is well-known for its art scene, making holiday artist markets and special events the perfect opportunity to find one-of-a-kind gifts. This year the Indie South Fair: Holiday Market on Dec. 5 and 6 brings an eclectic selection of emerging artists and crafters from the southeast and beyond to downtown Athens. The fair provides a venue for artists to directly connect with the community by sharing their techniques and creative processes as well as market their wares in a recreational, street-fair atmosphere that is always free and open to everyone. Athens is home to some of the most beautiful homes in Georgia, and they are opening their doors for the Classic City Tour of Homes on Sunday, December 6 from 1-5 p.m. with proceeds going directly to UGA Miracle, which raises money for Children’s Healthcare of Atlanta. People from all over the state gather together in Athens for this special event, as they tour the sorority houses, and a few fraternity houses, at the University of Georgia. This is the only time of year that these million-dollar mansions open up their holiday-decorated houses for the public, so you definitely will not want to miss this! The houses are prepared to showcase their history, traditions, and holiday festivity for this event. There will be vendors located at each house so holiday shopping will be available at all stops along the way. Be prepared to walk from house to house and enjoy this aspect of the Athens Historic District while benefiting such an amazing cause. Athens, Georgia is proud to once again host the internationally renowned State Ballet Theatre of Russia, as they present two performances of The Nutcracker on December 19-20 in The Classic Center Theatre. Generations of children and “children at heart” have treasured this perennial favorite, the charming tale of holiday adventure that follows a little girl’s journey through a fantasy world of fairies, princes, toy soldiers and an army of mice. Filled with Tchaikovsky’s beloved music including “Waltz of the Flowers,” “Dance of the Sugar Plum Fairy,” and “Waltz of the Snowflakes,” the entire family will love this magical experience filled with spectacular sets, beautiful costumes and enchanting choreography. Don’t miss out on this opportunity to see a world renowned ballet company as they take the stage in Athens. What better holiday present could there be than plans for a New Year&apos;s Eve getaway to Athens? A variety of venues are hosting special events this year for one of the most celebrated holidays in the Classic City. Graduate Athens is hosting a Totally 80s New Year’s Eve package package with entertainment at Foundry with The Highballs. The early bird price is $235 with a price increase to $255 at midnight on Thanksgiving, November 26, 2015. Hotel Indigo&apos;s New Year’s Eve Party featuring the Dirk Howell Band offers fabulous cocktails and live music in their elegant Rialto Room. Don&apos;t miss Hotel Indigo&apos;s special New Year’s Eve Overnight Package. For $199 couples receive a luxury boutique hotel room, two tickets to see the Dirk Howell Band’s exclusive concert and a champagne toast at midnight. New Year&apos;s in Athens is unlike anything else, so come experience it for yourself while taking advantage of these amazing specials! Athens, Georgia has got you covered when it comes to this holiday season. The Classic City transforms into a winter wonderland for the entire holiday season, making it a top destination location in the state! You will not want to miss your chance to make the most of everything this city as to offer! 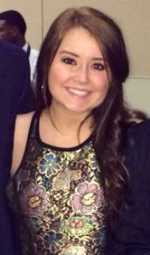 Kate is currently a senior at the University of Georgia, majoring in Communication Studies and minoring in Women's Studies. Kate is an entertainment and sports junkie, making Athens the perfect mixing pot for all her interests.